J Sainsbury plc is the parent company of Sainsbury’s Supermarkets Ltd, the UK ‘s longest-standing major food retailing chain. Sainsbury’s currently holds a 14.7% share of the UK grocery market, making it the third largest supermarket chain in Britain with over 500 supermarkets and 300-plus convenience stores. The group also has interests in banking with its Sainsbury’s Bank business. Sainsbury’s was founded in 1869 by John James Sainsbury and his wife Mary Ann, in London . The company experienced rapid growth during the Victorian era and by 1922 established itself as the largest grocery retailer in the UK . Sainsbury’s operates three main store formats; regular Sainsbury’s stores (‘Main Mission’), Sainsbury’s Local and Central stores (‘Mixed Mission’) and Sainsbury’s hypermarket stores (‘Main Plus’). Main Mission – These stores represent a typical Sainsbury’s supermarket. Each of the 500-plus supermarket stores generally stocks around 50,000 food and non-food lines, of which around 20% are “own-label” goods. Product ranges include the company’s ‘Basics’ economy range, the ‘Taste the Difference’ premium food lines and the ‘Sainsbury’s Organic’ range. Non-food items include clothing and a range of electrical goods such as TVs, DVD players and recorders, cameras and microwaves. Mixed Mission – The ‘Mixed Mission’ format incorporates Sainsbury’s Central and Local formats, which are the company’s smaller supermarket stores and convenience stores. The majority of the 300-plus ‘Mixed Mission’ stores are located in urban areas of large town and cities. Main Plus – The largest format of stores is internally branded ‘Main Plus’. These hypermarkets, which used to be know as ‘Sainsbury’s SavaCentre ‘ stores, occupy a wide range of both grocery and non-food lines. Sainsbury’s operates an internet shopping service known simply as “Sainsbury’s Online”. Customers can pick their Sainsbury’s items online and have them delivered to their home. The service is run from over 100 stores which carry the full product range – making it available to around 75% of the UK population. Sainsbury’s TU is the supermarket’s own-brand clothing line. The TU brand replaced the Jeff Banks designed range, Jeff & Co in 2004 and has since helped Sainsbury’s establish itself has the UK ’s tenth largest clothing retailer by volume. TU items are sold both in-store and online. In 2008, Sainsbury’s introduced the TU clothing brand into its homewares offering. Homeware products, such as lighting, dinnerware, bathroom accessories, kitchen products and toys, are now provided online and in selected stores under Sainsbury’s ‘TU Home’ brand. TU Home follows on from the Sainsbury’s Basics homewares range, which was first launched in 2005, followed two years later by the ‘Different by design’ premium homewares range. Sainsbury’s Bank was launched back in 1997 as 50:50 joint venture between J Sainsbury plc and the Bank of Scotland (now part of the Lloyds Banking Group). It operates under its own banking license issued by the FSA. The bank, which now trades as Sainsbury’s Finance, offers a wide range of financial products that can be purchased online or over the phone. These include credit cards, savings accounts, loans and insurance products (home insurance, travel cover, car insurance, etc). There are over 1.5 million active Sainsbury’s Finance customers, with deposits in excess of £6 billion. Sainsbury’s is a founding member of the Nectar loyalty card scheme, which was launched in the autumn of 2002 in conjunction with Debenhams, Barclaycard and BP. The Nectar scheme replaced the Sainsbury’s Reward Card. Customers can earn 2 Nectar points for every £1 spent in-store and online at Sainsbury’s.co.uk, 1 Nectar point for every litre of fuel purchased at Sainsbury’s petrol stations, up to 4 points for every £1 spent when they use both the Nectar Credit Card and their Nectar loyalty card at participating Nectar sponsors, and up to 2 points for every £1 spent online at Nectar eStores (Dell, Amazon, eBay, Argos and many more). Nectar points can be spent in any Sainsbury’s store, or exchanged for various rewards including cinema tickets, spa breaks, theme park trips, luxurious breaks and Tussauds attractions. Points can also be redeemed online for some rewards. Celebrity chef Jamie Oliver has been the public face of Sainsbury’s since 2000, appearing on television and radio advertisements and in-store promotional material. The deal, which earns the chef an estimated £1.2 million every year, also involves Jamie developing new and inspirational recipes with Sainsbury’s in-house food experts. Most Sainsbury stores are open 7 days a week. Find your local Sainsbury’s opening times here. As part of its loyalty scheme Sainsbury offer Nectar Card points every time you shop at the store and online. The Nectar Card isn’t exclusive to Sainsbury which means you can use the card to collect points from many outlets including Argos, Homebase, Easyjet, Eurostar, Amazon and Blockbusters to name but a few. You can earn 2 Nectar points for every £1 you spend in Sainsbury’s store and 1 Nectar point for every litre of fuel purchased in Sainsbury’s fuel stations. To start earning points all you need to do is visit nectar.com to register your details or alternatively pick up an application form instore. You can even add details of friends and family to your account so that all the points are accumulated into one account. To keep tabs of your points you can check your balance online or check your Sainsbury’s till receipt. Your receipt will show the opening balance on your account plus the points earned on your current purchases and the closing balance. What’s more, you can keep a track of your points online. Once you have collected the minimum amount of point you can spend them in 3 ways. Firstly you can redeem them against your purchases instore. Just hand your card over when paying and the points will be converted to a cash value against your transaction. You can chose to pay for all your purchases with your Nectar points or just part of the final bill. You can use your Nectar Card in Sainsbury’s stores plus Legoland, Alton Towers, Thorpe Park, Chessington World of Adventures, Warwick Castle and Madame Tussauds and many more. Secondly you can redeem your points online by browsing the nectar.com site for the brand you wish to spend your points with and the treat will be emailed or mailed to you. Finally to redeem your points against Eurostar, Expedia, Orient Express and the Merlin Annual Pass you can call the Nectar hotline, where the agent will assist you with checking availability and finding the best fare and completing your booking. 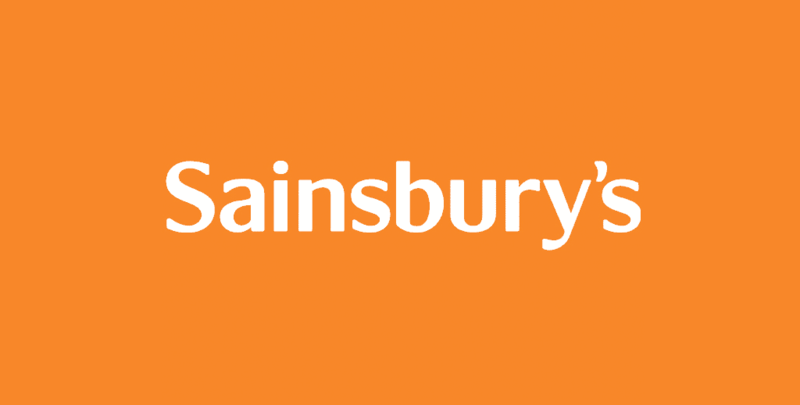 J Sainsbury Plc has around 785 stores and employs over 150,000 people in the UK alone. The supermarket’s core grocery business was expanded to include Sainsbury’s Convenience Store, Sainsbury’s Home and Sainsbury’s Bank. With such a varied portfolio of products Sainsbury’s can offer a wide range of careers and training opportunities. At Sainsbury’s the employees play an integral part in the success of the business, so if you are committed to delivering a first class customer service and have a ‘can do’ attitude then you will fit right in. Sainsbury’s offer careers in many different areas to include, Retail Stores, Management, Support Centre, Logistics and Pharmacy. The in store careers include Counter Assistants, Merchandisers, Bakers, Confectioners, Stock Controllers, Pharmacists, Petrol Service Assistant, Price and Advertising Controllers and Sainsbury’s Online Shopper to name but a few. However if you are interested in working in a more informal office environment then the Sainsbury’s Support Centre based in Holborn in London could be the place for you. Here you will find open plan offices and huge range of careers in; Buying, Retail, Supply Chain, Corporate Services, Marketing, Finance. HR, IT and Sainsbury’s Bank. HR Management and Pharmacy Management. If you are after a Trainee Management role then Sainsbury’s also have a Graduate Scheme which will give you the training you need to achieve your career goals.